It's hard to believe that Primal Scream have now been together for over 30 years. That's probably because the band have truly been chameleon's throughout their career. They've easily transitioned from blissed-out Manchester pop to Stones-inspired rock to near-Industrial electronica to Brit Pop...and back again. On June 18th the band return for yet another kick at the can with the new album More Light. This record, much like the previous Beautiful Future, is an amalgamation of all of those styles. What's added this time around is some World Music influences. It begins with the lead track , the 9-plus minute "2013". Middle Eastern rhythms blend with a loose indie dance vibe to move you. The grating slashing and crashing maelstrom of "Relativity" cedes to vocals that waft above a sitar line. The treble is turned way up on "Elimination Blues", the most ear-piercing blues number I can recall ever hearing. "Sideman" creates a mystical frenzy about itself. There are some lounge-type moments on More Light as well. Saxophone and slow percussion make "Goodbye Johnny" a jazzy gem. An upright bass plunks throughout "Tenement Kid". More traditional Primal Scream moments come courtesy of the pumping beat and catchy chorus of "Invisible City", and the uplifting tambourine gospel of "It's Alright, It's OK". New bassist Mani (late of the Stone Roses) lends a laid back groove to "River of Pain". Everything is pulled together on the warped "Culturecide". Horns, woodwinds, and gospel backing vocals mixed with a twisted delivery to make for an engrossing listen. 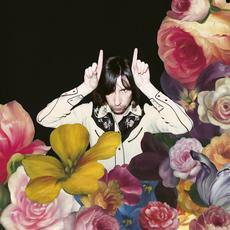 Primal Scream have fallen into a nice place. While their music, for the most part, no longer pushes boundaries or challenges listeners, they haven't made a bad song, let alone a bad record, in a very long time.